Handré De Jager's Mega Man 3 Unreal Engine 4 project continues onward unabated. A new video published this weekend shows off even more of Gemini Man's stage, including a fight with the 'ol narcissist himself. Various weapons and even Rush Adapters have been implemented, too! It's worth a watch. De Jager hopes to release a fully playable demo before the end of the year. It might turn into a fully-fledged fan-game, but right now he's just having fun experimenting with Unreal 4. 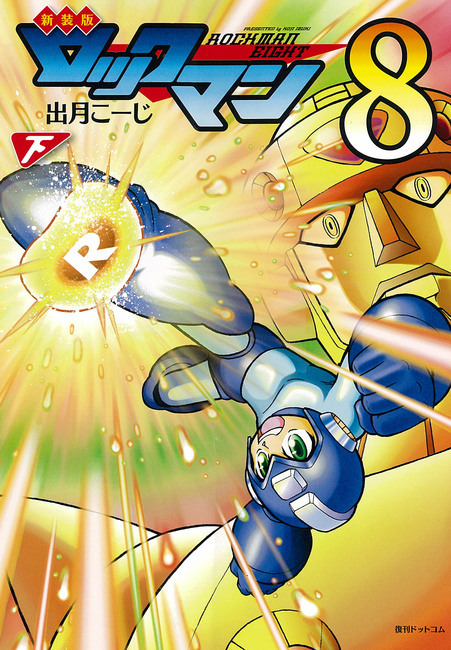 Hot on the heels of the Rockman 8 reprints, Koji Izuki's Rockman & Forte adaptation will return to Japanese bookstores in January, 2016. A single volume, 402-page reprint is currently in the works, which is said to include all nine chapters from its original 1998-1999 Comic Bom Bom run. 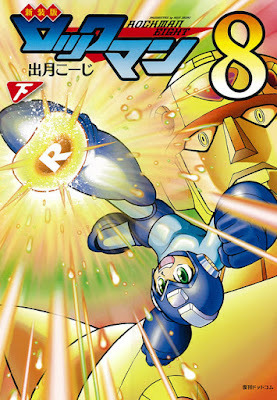 The book will also contain never-before-seen tribute artwork from Hitoshi Ariga. Pre-orders are currently available through Fukkan and Rakuten for 2,268 yen ($18.46). Customers who pre-order through Fukkan will be eligible to win exclusive artwork autographed by Izuki via lottery. 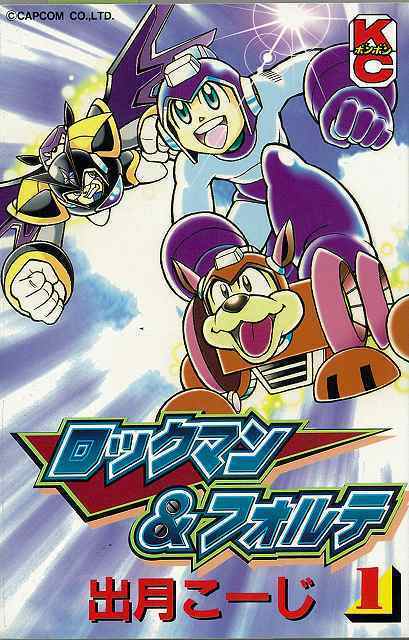 Due in Japan next month, the second volume of Koji Izuki's revised Rockman 8 adaptation. Spanning 260 pages, the book covers chapters 8-13 of the 1997-1998 comic. While not drastic, it's said various adjustments have been made to interior artwork, personally handled by Izuki. To further differentiate this volume from previous prints, new cover art has been provided. Great action shot of the Rock Ball, no? Pre-orders are currently open through Amazon Japan and Fukkan. 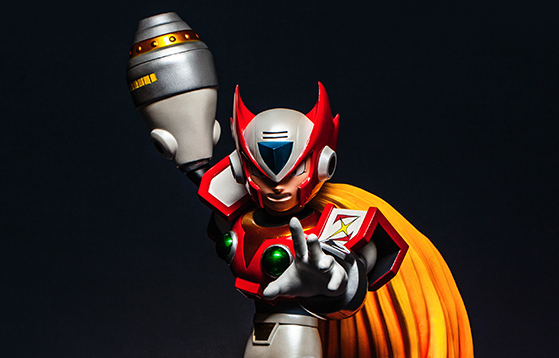 First 4 Figures brings us another high-end Mega Man X statue: the red crusader himself, Zero! 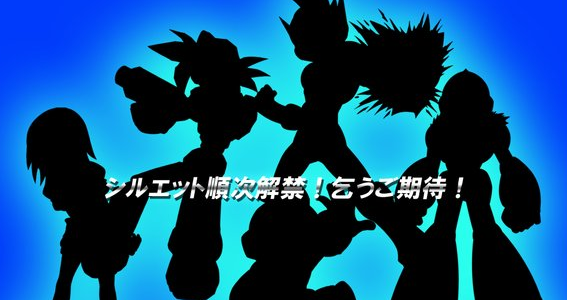 Models based on Aile, Rock Volnutt, Shooting Star Rockman, OVER-1 and Hitoshi Ariga's Rockman are but a small sample of what's headed to Hobby Rock 2016. 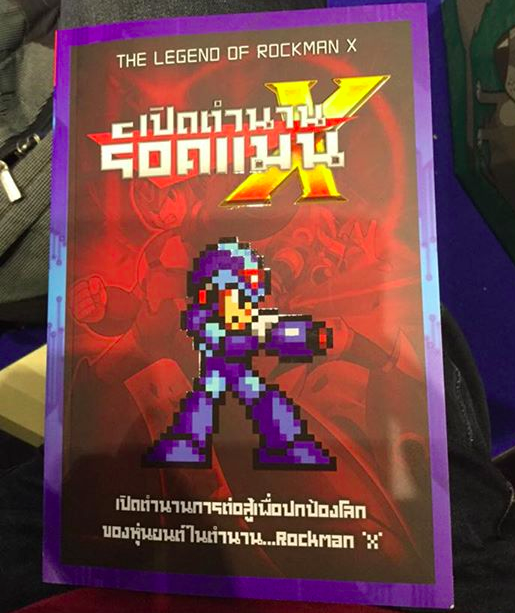 A few years ago a group of tenacious Mega Man fans published a classic series history book in Thailand. They're following it up with a new entry titled The Legend of Rockman X. As one might expect, the book offers fans a complete compendium of X series knowledge. Each game in the series is covered, featuring in-depth character profiles, artwork and other fun tidbits. There's an entire section devoted to Mega Missions too. It's the next best thing to a hypothetical "Maverick Hunter Field Guild." You can view some sample images here. Right now, the book can be ordered directly from RockPage's Facebook. Simply contact the administrated and he'll hook you up. Be aware, though, it's written entirely in Thai. I found it to be a neat commodity despite the language barrier. It's a true labor of love from die-hard fans to fans. Check it out, if you are so inclined! 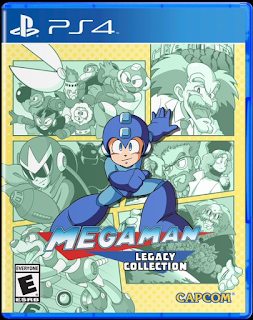 We've known for a little while that Mega Man Legacy Collection won't be seeing a physical release in Europe. Further confirmation came yesterday with the release of a new trailer. 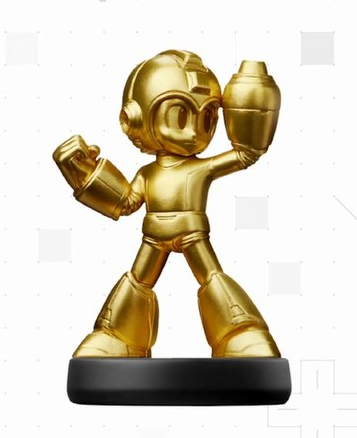 Today, Capcom UK has confirmed the gold Mega Man Amiibo (bundled with the North American-exclusive special edition) will not be distributed in Europe either. Even though this particular figure isn't hitting PAL territories, Capcom UK reminded fans that the regular Mega Man Amiibo will unlock the same content. Fans won't be missing out on those extra challenges... but Amiibo collector's will be left yearning for the gold! First they were giants, now they're itty-bitty. 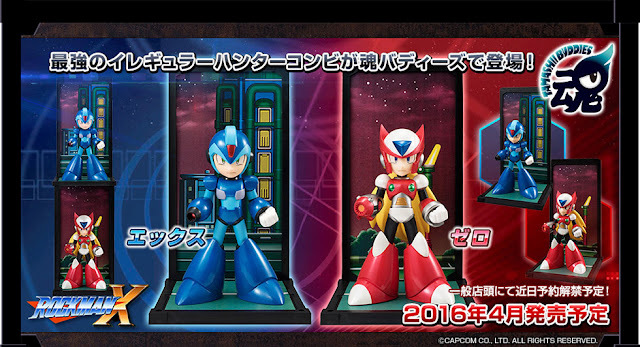 X and Zero are next in line in Bandai's Tamashii Buddies series. Each measures at about 9cm in height and includes a display stand featuring Mega Man X's introductory stage. 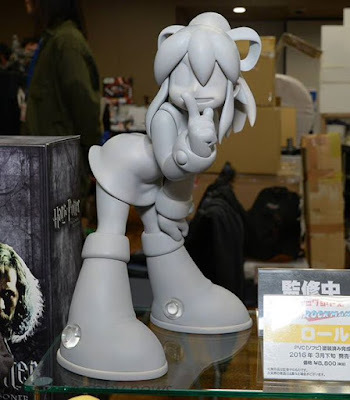 Bandai plans to roll these out in April, 2016 for 1,620 yen a piece (roughly $13 US). Pre-orders go live in the days ahead. Before you buy, be advised these figures are not articulated. They're meant to be shown off on a shelf or, if you're feeling fancy, act as bookends. The largest Mega Man figure ever. 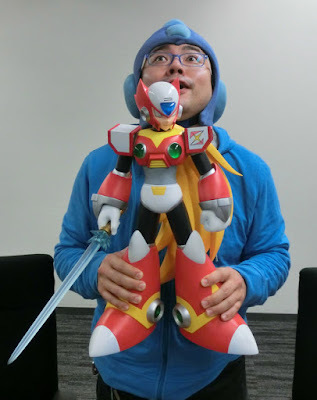 Love Mega Man lore? 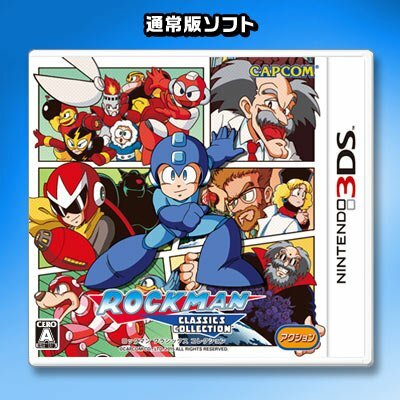 You might want to keep the limited edition Rockman Classics Collection bundle on your radar. 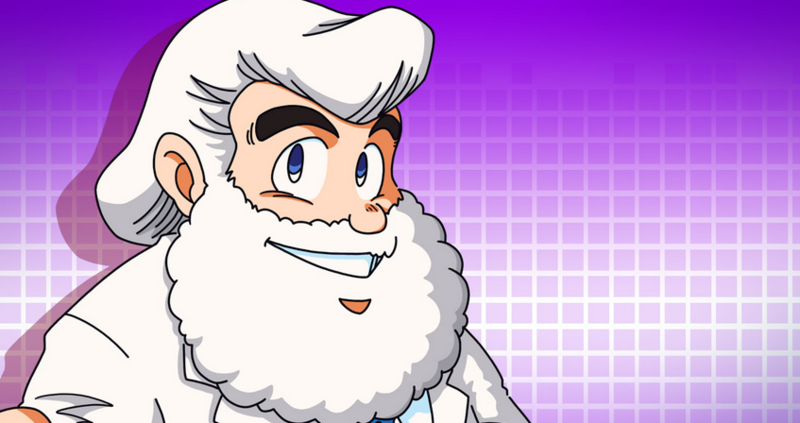 What was initially believed to be a lackluster box of "school supplies", the limited edition package will include a copy of Dr. Light's journal. The entries within are said to provide "illuminating insights on subjects ranging from Rockman to world peace." A new trademark for the Mega Man franchise itself has been approved at the New Zealand Intellectual Property Office. Capcom applied for it in September and it was approved on October 16th, 2015. Nintendo 3DS- Comes with a physical copy of the full game, two Nintendo 3DS Mega Man themes, a soundtrack sample CD containing eighteen songs from Mega Man 1 through 6, and four Mega Man stickers! Nintendo 3DS Collector's Edition w/Gold Mega Man Amiibo - Includes everything in the standard edition, plus a set of six Mega Man postcards and the exclusive gold Mega Man amiibo! The 3DS collector's edition will run you $49.99; the rest are $29.99 a piece. All SKUs ship February 23rd, 2016. North America-only. 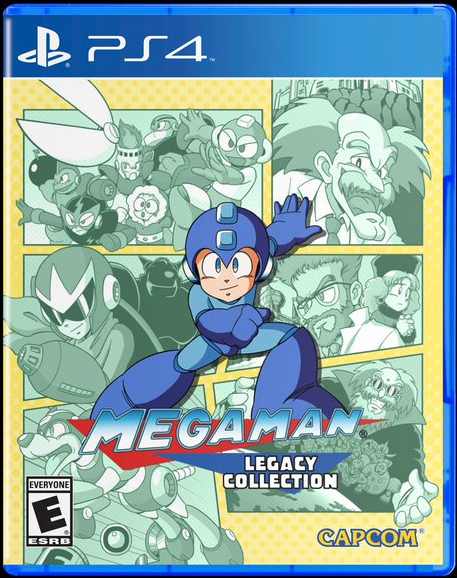 Just announced on today's Nintendo Direct, the physical Nintendo 3DS Mega Man Legacy Collection will hit North American retailers on February 23rd, 2016. That's not all though! 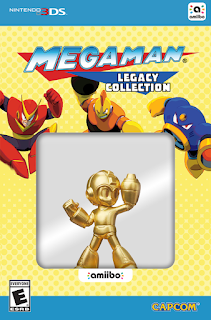 We're also getting a limited edition bundled with an exclusive gold Mega Man Amiibo. 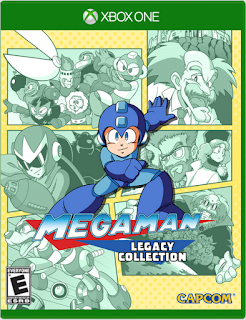 No images of the actual limited edition at the moment; you'll have to settle for the standard box art above. 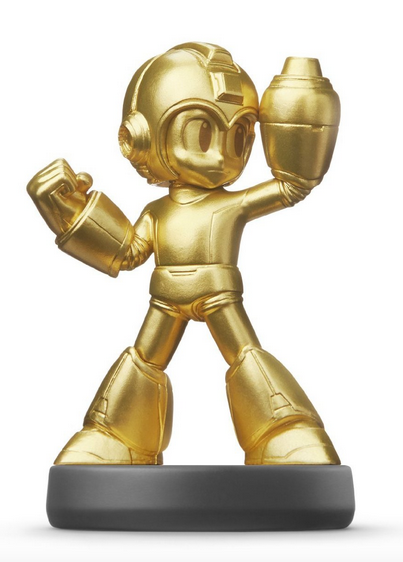 The Mega Man Amiibo unlocks 3DS-excluisve challenges; eleven to be exact! 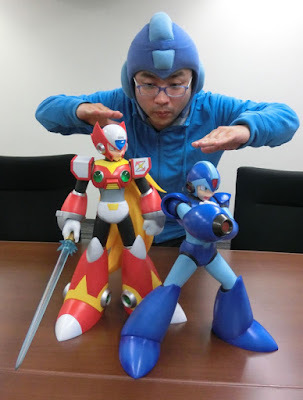 Both the gold and standard Mega Man Amiibo will unlock these challenges. 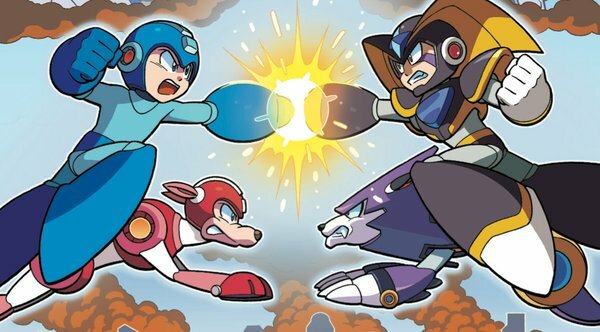 The final issue of Archie Comics' Mega Man was supposed to hit newsstands on Wednesday, November 18th. However, the official Archie Comics Twitter reveals issue #55 has been delayed by to Wednesday, December 2nd. A three week delay. Archie did not provide a reason for the delay, though they "promise it will be worth the wait!" Without much to go on, all we can do is speculate. Trouble with the printers? Panels need some extra polish? Has the hiatus been cancelled? Who knows! If we hear anything else we'll let you know. Hang tight! 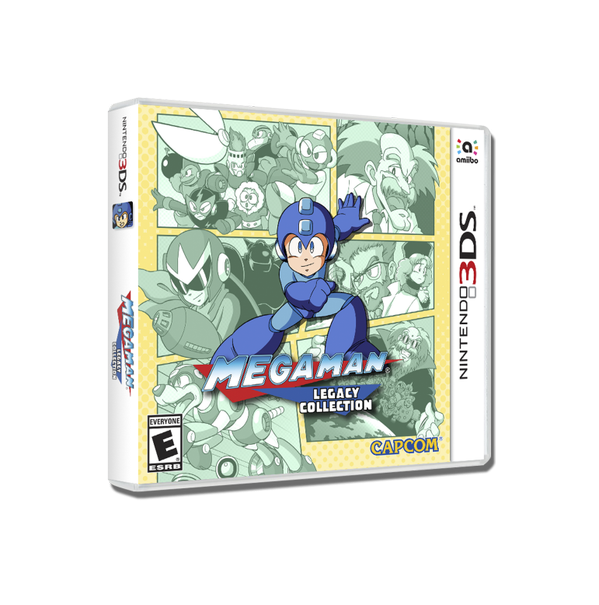 With Europe just getting Mega Man Battle Network 5, it was only a matter of time before the sixth game in the series gets its Virtual Console due. Next week, Rockman EXE 6: Cybeast Greiga and Cybeast Falzer hit the Japanese Wii U Virtual Console on November 18th for 702 Yen a piece. Although not officially confirmed, it's safe to say a method will be available to obtain trade-exclusive Battle Chips and bonus content. Previosu Virtual Console releases had players accessing the "Comms" menu to recieve opposite version Chips and items. A release date has not been set for North America or Euorpe. We'll keep an ear to the ground. 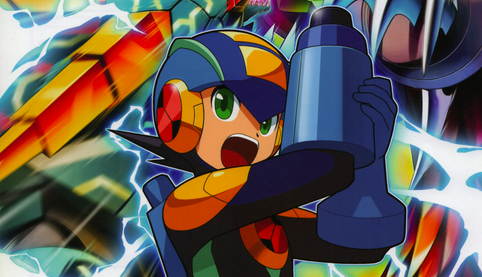 Capcom just launched a batch of Mega Man Legacy Collection-themed avatars for PlayStation 4. Thirteen avatars are up for grabs on the North American PlayStation Store for 50 cents a pop. All but one come from Jeffrey "Chamba" Cruz's Legacy Collection artwork; a lone 8-bit sprite. So yeah. Not much else to say than that! Grab yours here. 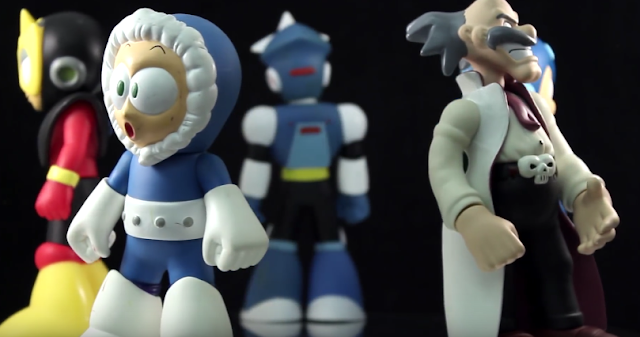 Some years ago we looked at the many unproduced and cancelled Mega Man toys from Jazwares. More recently, however, the folks at Toy Pizza actually got their hands on 'em. Read on and have a look! 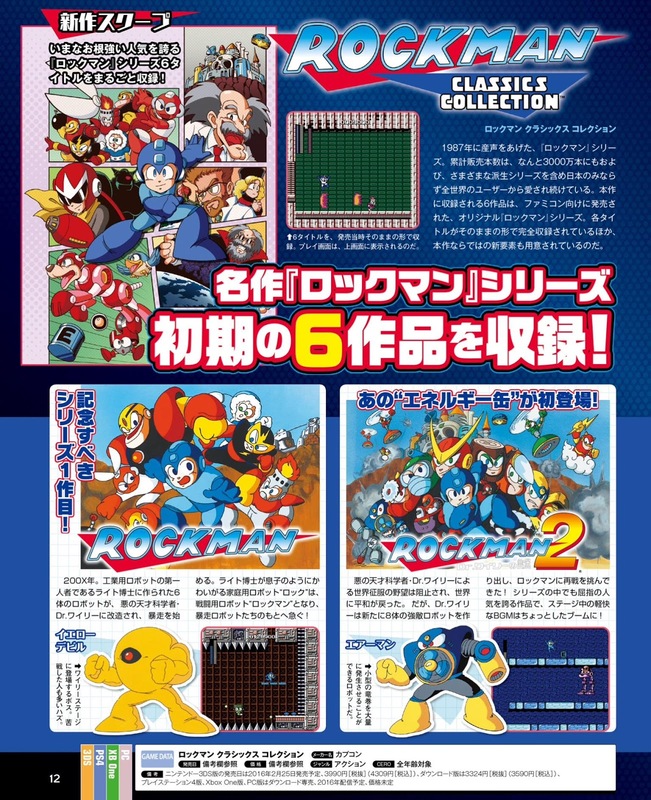 Mega Man Legacy Collection is coming to Japan as Rockman Classics Collection on February 25th, 2016. 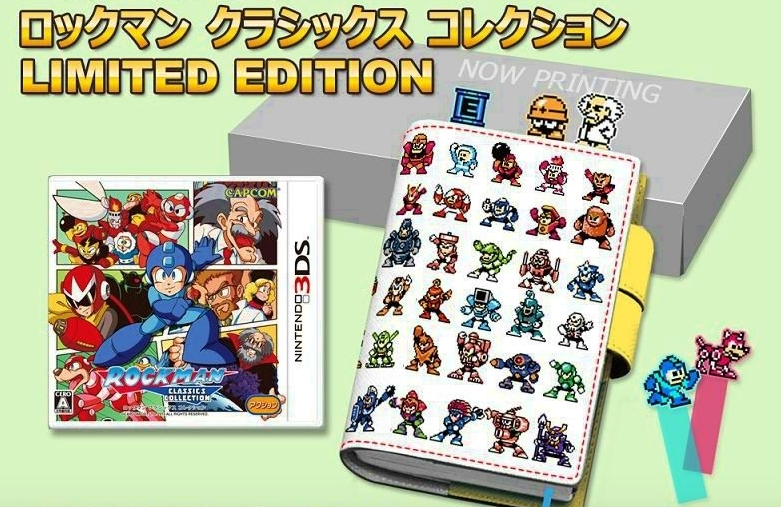 Nintendo 3DS-savvy customers can pick up the game by itself or a spiffy limited edition with a few bonus godds. Announced via the game's official site, the limited edition comes with the game, a 2016 notebook/planner, sticky note set and bookmarks. Pre-orders are live on E-Capcom for 9,709 yen (about $80 US). Hold on, there's more! Both the limited bundle and standard edition will ship with download codes for two Rockman 3DS home menu themes. You can see what those look like here. E-Capcom buyers will also receive one of six cover inserts. You won't know which you'll get - it's entirely random. It would be great if the North American 3DS release came with all this stuff. At the very least we gotta have that cover and themes! We'll keep an ear to the ground. Roll. Revealed at the Amiami expo over the weekend, X-Plus Toys' giant Roll is slated to launch in March, 2016. The 11-inch figure will run you 8,800 Yen (or $72.50 US). No word yet on international availability. Stay tuned! 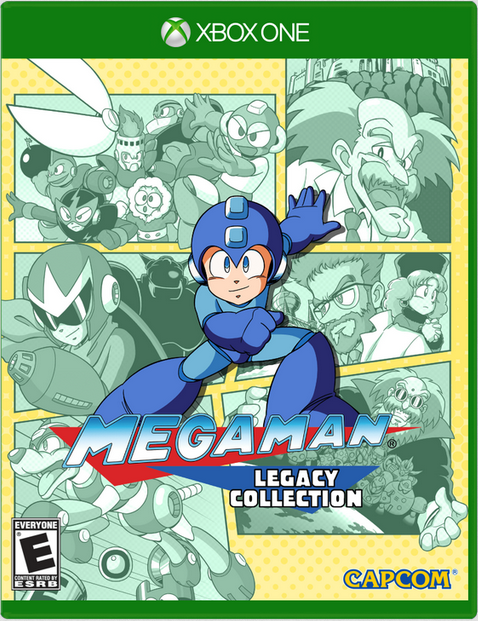 Capcom has confirmed Mega Man Legacy Collection will launch in Japan on February 25th, 2016, Famitsu reports. 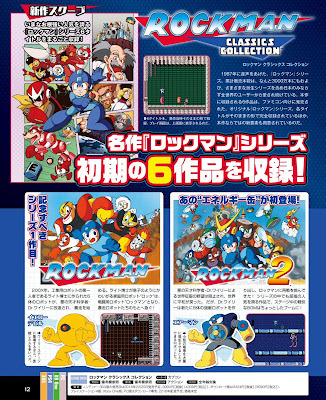 The game will be re-titled Rockman Classics Collection and, going by this sample scan, may include new artwork. It's a very tiny image but the splash picture on the left page, top right, is entirely new. UPDATE: I added a better picture! By now you probably know that the goofy (but lovable) Ruby-Spears Mega Man cartoon almost looked quite different. The original sales pitch featured a style more faithful to the classic series, featuring smooth animation and high-octane action. For your viewing pleasure, here's that same pitch again – digitally restored in the highest quality yet! The footage comes from the original promotional VHS tape, not a copy. I spent a good six months tracking it down. The tape procured from a one Radiant Paragon, the original owner circa 1994-1995. Previous footage (the one you've seen before) comes from a copy of a copy, distributed without Radiant Paragon's permission and proper credit. With her blessing, we're happy to present the original tape. After the break, you can see a couple trailers that preceded the cartoon promo. Pretty cool stuff, if I do say so myself. A big thanks to KeijiDragon for handling the remastering, encoding and conversion process. Be sure to hit up his YouTube channel for more VHS-to-digital video game promos.